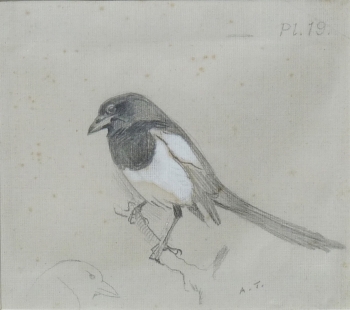 He was a Scottish artist and bird illustrator, painting mostly in watercolour. He regularly visited Scotland to sketch birds in the wild, his favourite haunt being the Forest of Gaick near Kingussie in Invernesshire. His widely reproduced images of British wildlife with their evocative and dramatic backgrounds, are enjoyed as much today as they were by sportsmen and birdlovers of a century ago.